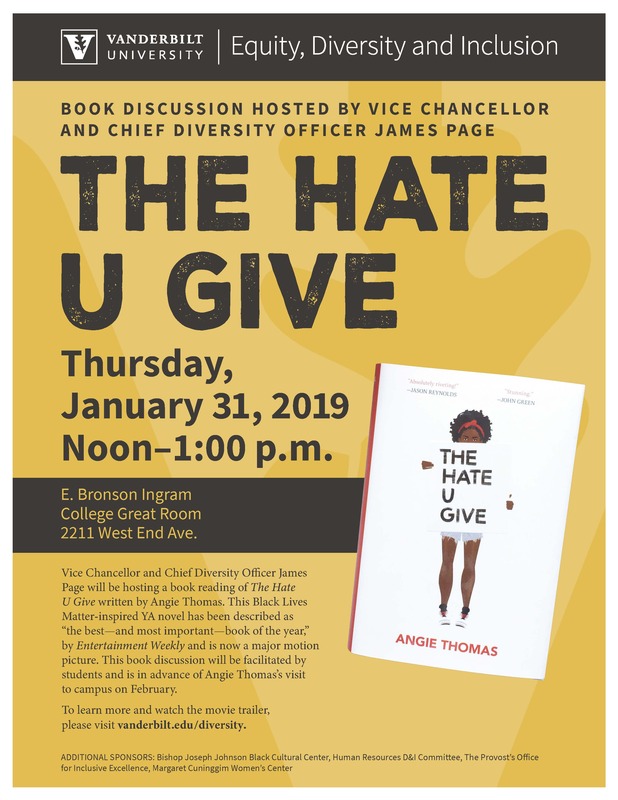 Equity, Diversity and Inclusion is hosting a book club on The Hate U Give by Angie Thomas. Vice Chancellor of Equity, Diversity and Inclusion and Chief Diversity Officer James Page Jr. and Vanderbilt NAACP President Sydney Banks will co-facilitate a discussion of the book. The event if free to all with light refreshments provided. For more details on this, and the accompanying campus visit by Angie Thomas, please visit the Office for Equity, Diversity and Inclusion’s website.